This is a patch ? along with content ? 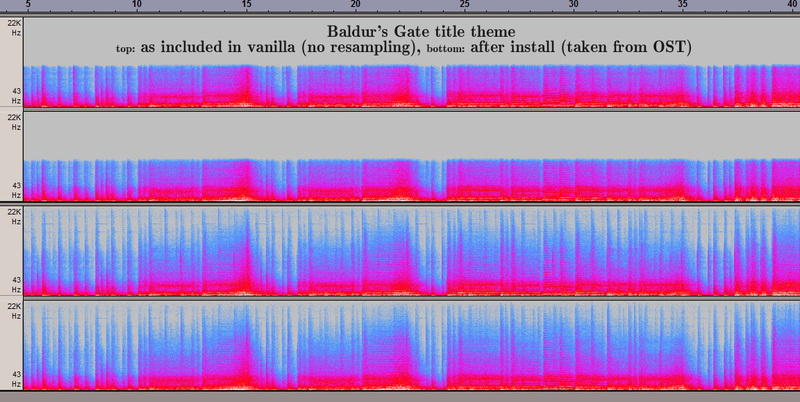 to allow playback of higher quality, 44.1kHz music in Baldur's Gate I Tutu (on Throne of Bhaal installs). The patch updates all .acm audio in the game, and features various other fixes, as well. The current version of the mod supports properly patched installs of Baldur's Gate Tutu/ToSC (installed on Throne of Bhaal, inclusive OS X installs). This mod changes the sample rate of .acm files from 22.05kHz to 44.1kHz. It does not affect any .wav or .wavc files present in the game. Install instructions and details included!